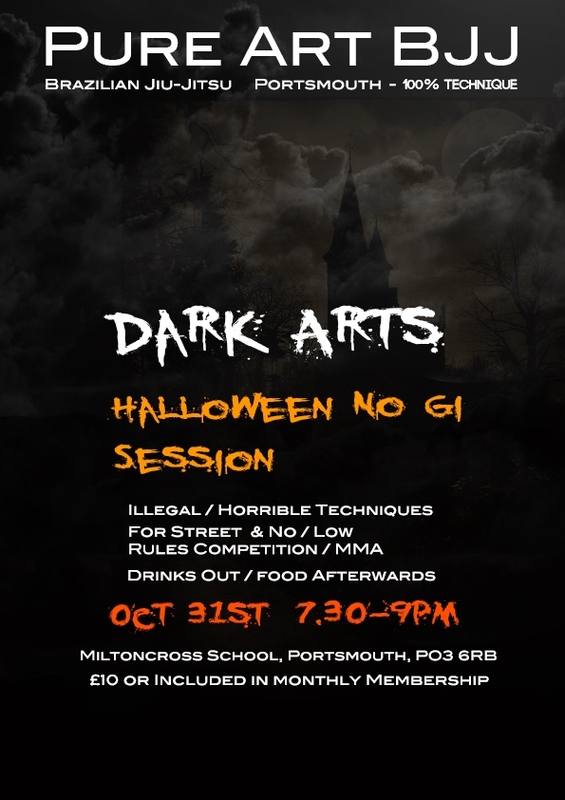 Special Halloween “Dark Arts” Illegal Techniques / Self Defence Portsmouth No Gi Session! Special Halloween “Dark Arts” Illegal Techniques / Self Defence No Gi Session! Tue 31st Oct, 7.30-9pm at Miltoncross School, Portsmouth, PO3 6RB.